a magical or medicinal potion. a preparation supposedly able to prolong life indefinitely. Okay, maybe this tea isn’t really magical but herbal teas have long been used for their health imparting qualities. And besides, nothing beats a glass of refreshing herbal tea on a hot summer day. Infusing herbs in water is the most simple and ancient herbal medicine practice and water is the ultimate carrier for their health boosting plant-based benefits.. It’s especially great when you have access to fresh herbs, like fresh lemon balm, but dried herbs also work really well. Over the years I’ve developed an endless array of herbal tea blends that turn medicinal herbs into delicious teas that taste as good as they’re good for you. Here, I’m sharing my recipe for my Summer Punch Herbal Elixir Tea, with the ingredients and simple instructions to get your herbal tea groove on. Herbs can be purchased online at Mountain Rose Herbs. Eleuthero root is a popular adaptogen. It is used to increase mental alertness and performance, enhance concentration and increase energy and stamina, reduce stress and fatigue, reduce dream-disrupted sleep and insomnia, and enhance immunity and improve detoxification. Green tea is a powerhouse of health boosting phytochemicals that delivers anti-inflammatory compounds and health boosting polyphenols. Note that you can skip the green tea in this recipe if you want to avoid caffeine. Pomegranate is nutrient-rich and provides constituents like ellagic acid that reduce inflammation. Ginger is bright tasting, anti-inflammatory ‘superfood’ that helps enhance digestion and assimilation. Lemon balm is one of my go-to herbs to increases a sense of calm and decrease anxiety, and it tastes lovely. Hibiscus tea is rich in vitamin C. I like to add it here for its refreshing taste – and the beautiful color! Lemon is high in vitamin C and adds a thirst quenching and refreshing taste to this herbal blend. Ready to try it? Here’s my Summer Punch Herbal Elixir Tea recipe. Place water in a pot and bring to a boil. Add eleuthero root to the boiling water and cover. Reduce heat to simmer for 5 minutes. Remove from heat and add green tea, pomegranate, ginger, lemon balm, hibiscus, and lemon. Let steep, covered, for 10 minutes. Strain into a pitcher or glasses with ice. Add a slice of lemon to each glass. 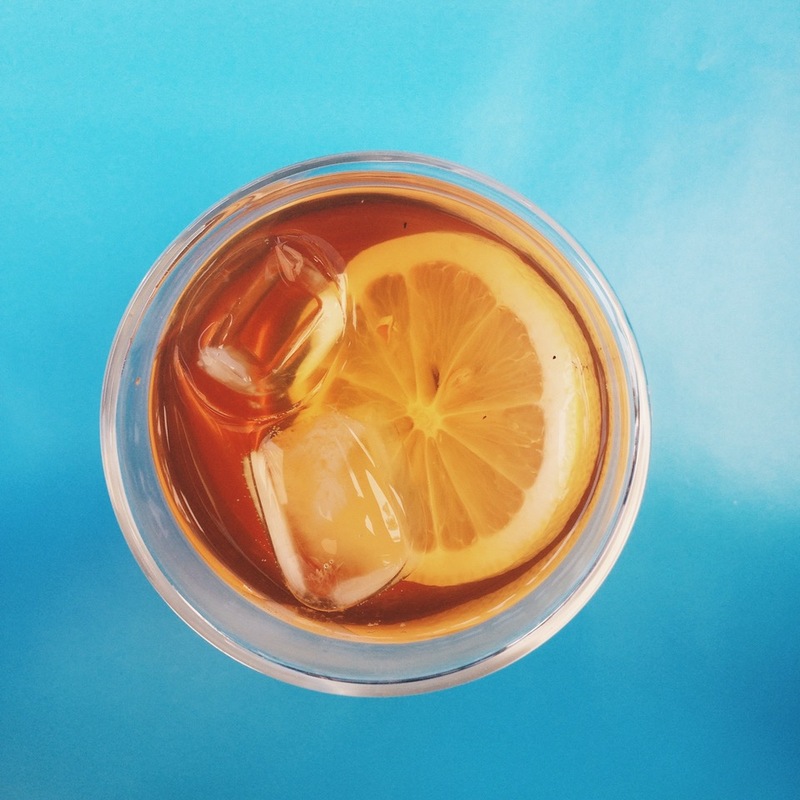 Optional add honey to taste – but do it before you pour over ice so the honey dissolves. If you prefer, you can add a drop of stevia to each glass (I don’t love the taste of stevia and prefer it with honey or unsweetened). You can store any extra tea in a glass jar in the fridge, where it will keep well for two days. It looks delicious! Is this a safe tea for nursing mamas to drink?